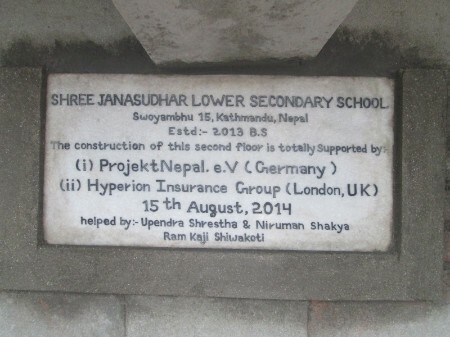 For the third year running Projekt Nepal will receive another generous donation from Hyperion Insurance group London!!!! This year we will receive an award of 4000 Pounds Sterling (just over 5000 Euro). We hope that this amount will be sufficient to build a new playground and start to construct new toilet facilities for the children. The second phase of our construction project is almost finished!!! 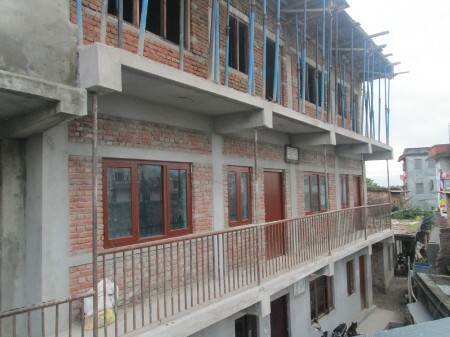 In total four classrooms (the first two floors as shown in the picture below) have been built with financial support from Hyperion Insurance Group London. A further floor has been financed by the District Education office in Kathmandu. Projekt Nepal Members Matt Baker and Chris Riley were warmly welcomed by everybody at Jana Sudhar Lower Secondary School while visiting to see the the progress of the building site. At the end of June the bi-annual festival for former pupils took place at the Dr.Kalscheur commercial school in Rosenheim. The pupils of the Projekt Nepal group were extremely active, particularly with the catering, and helped to raise a total of 751 € for our project!!! A further donation of 5000 Pounds Sterling (over 5800 € !!!) was gratefully received from the Hyperion Insurance Group, London. This generous donation will hopefully ensure that the second phase of the building project – two more classrooms – can commence next spring!!! 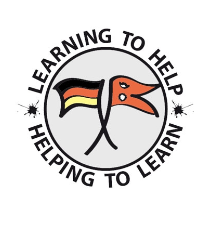 The two new classrooms were completed using funds raised by the pupils of Dr. Kalscheuer Commercial School, Rosenheim, Germany, and were put into use. Projekt Nepal members Chris Riley and Matt Baker visited Jana Sudhar School in order to monitor the progress of the construction of two new classrooms. The building of the two new classrooms recommenced initially using funds awarded by Hyperion Insurance Group. Our annual „open day“ was a great success again this year. Various activities organised by our pupils and teachers, including selling homemade chocolates and a tombola, raised a grand total of just over 2000,00 € to support our partner school Jana Sudhar Lower Secondary School in Kathmandu! An award of 5,000.00 Pounds Sterling (over 6000,00 € !!!) was gratefully received from the Hyperion Insurance Group, London. This award was made possible by the successful application to the Hyperion Charity Committee by Projekt Nepal member, and Hyperion employee, Matt Baker. A total of 760.00 € was gratefully received from the members of the Lauterbach Community after a benefits breakfast in the community hall where a presentation about the aims of our project was held. Many thanks to everybody who made a donation or was involved in organising this event! At the beginning of August the project founder Chris Riley visited our partner school Jana Sudhar Lower Secondary School in Kathmandu. During the visit, two laptops were presented to the school, a printer-copier machine was purchased and an internet connection for the school was organised. All of this was made possible by donations to our project. At the moment two new classrooms are being built. Unfortunately the available funds are not sufficient to complete the building work. We are currently assessing the feasibility of supporting the building project with funds from our project. On Friday 6th July a summer festival for former pupils of the Private Wirschaftsschule Dr. Kalscheuer, Rosenheim took place. As part of the festival the pupils of the project group presented an exhibition about Nepal where guests had the opportunity to sample culinary specialities from Nepal. On this evening a total of 318.00 € was donated. On Wednesday 18th July there was a sports day for our pupils. The highlight of the event was a sponsered run, the proceeds of which will be used to further support our partner school. Over 1,800.00 € was raised by this event. A donation of 1,800.00 € made possible the purchase of a further set of classroom furniture, more school shirts and a safety rail for the steps. In the course of our annual “open day” on Saturday 3rd December, various activities organised by our pupils raised the sum of 1,779.05 €, all of which will be used to further support our partner school in Kathmandu, Nepal. A donation of 1281 € provided 10 a complete set of 10 desks and benches for a previously unfurnished classroom. This sum also facilitated the purchase of 3 whiteboards and 116 school shirts. All of the items mentioned above were specially manufactured in the area by local trades-people. With our help a new laminate floor was laid in the nursery classroom. Beforehand the children sat on a cold stone floor which was insulated only with a thin felt carpet.